Fair Foods’ 9th Annual The Brewer’s Plate was this past Sunday and it was a lot of fun. It was held at the National Constitution Center in Philadelphia, PA which is great to visit if you’re in town. Fair Foods is a supporter of local farmers and promoter of local, sustainable and healthy and organic foods. The list of participants is endless; it goes on and on. A great guest was in attendance. Mr. Ben Franklin (obviously an impersonator) was walking around taking some pictures and greeting visitors. Such a nice guy. 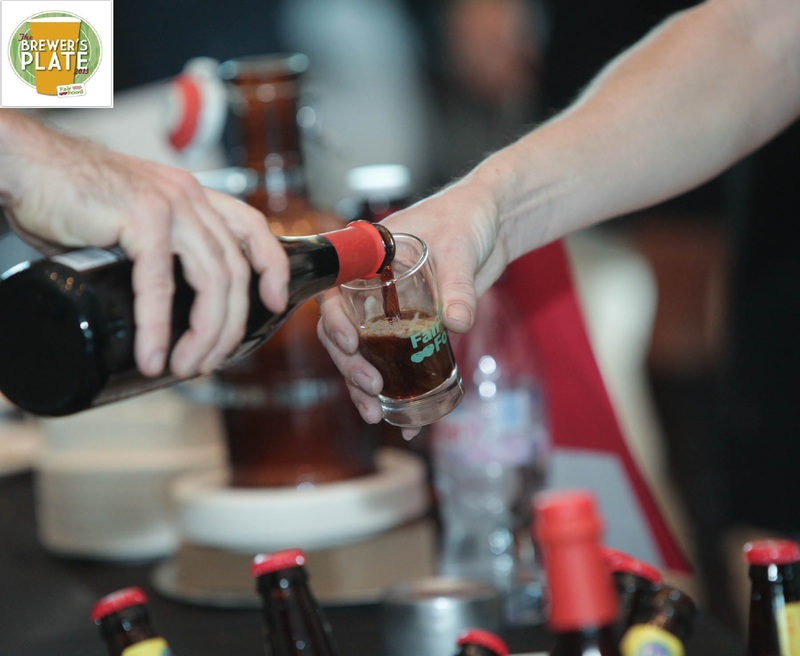 Different Beers were being paired with some of the areas best restaurants, farmers, artisanal producers all independently owned and located within 150 miles of Philadelphia, PA. I got to experience the VIP area which started 30 minutes earlier. There was also some Spirits there and it was really interesting to see a Sage, Root, Ginger Snap and Rhubarb spirit, which to my surprise were very delicious. If you have never attended something like this I suggest you give it a try. It’s an experience to try so many amazing tastes and to test your palete out with what it can handle. Another fun thing that they had was a Beer tasting with different cheeses and toppings. This event was packed with lots to try and enjoy. They even had a live band and everyone seemed to be having a great time. Dear Benjamin Franklin seems to have gotten younger since I was a regular in Philly!